However, the coverage of rumors surrounding the coming iPhone 8 (assuming that’s what it will be called) has reached a level of insanity that I’ve never seen before. I have only been back at the Insight sites for a few months, but I’ve been writing off and on for over 10 years, and the only things I have ever seen with crazier coverage this far out was the first iPhone. We are still between 5 and 7 months away from the release of this next iPhone, and we are getting daily updates, reports, and looks at device mock ups as if it releases tomorrow. Every supposed feature is broken down. Each “leaked mock-up” is meticulously compared with the last. I expect this fever pitch when we are 1 month or less away from a Fall Apple Event, but when the vultures descend this early, especially the ones from larger publications and non-tech media, then there must be a lot of clicks out there to be baited. What really bothers me about the current situation is that there are many writers who are taking this opportunity to make sweeping pronouncements about a device that doesn’t exist. Yes, we know that it’s coming. However, we have no concrete way of knowing which rumors are correct, completely fabricated, or relate to prototypes that Apple has tested, but decided against. Until Tim Cook stands on stage and shows it to us, it really doesn’t exist as a product. 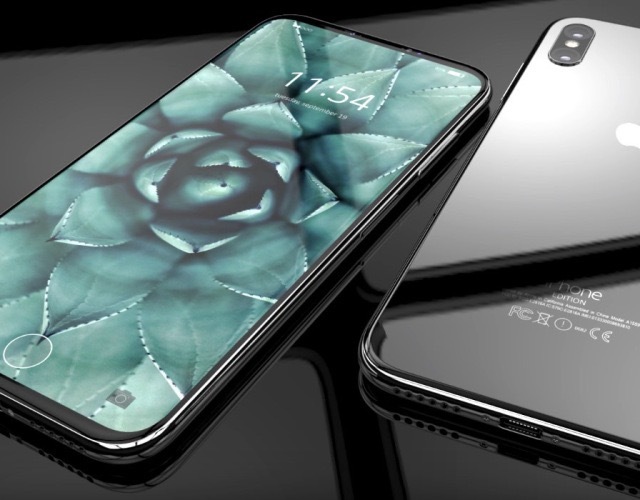 As such, there is absolutely no validity to comparing a zombie iPhone 8 mockup to the recently released Samsung Galaxy S8, and then making sweeping positive or negative pronouncements about how they stack up against each other. The most frustrating thing about this crazy level of coverage is that there are legitimate upcoming events and releases to talk about, but the hype around every supposed detail of the new iPhone 8 quickly drowns them out. WWDC is only five weeks away. We know for a fact that iOS 11 will debut there, as the next version if iOS always does. We will get developer betas shortly thereafter, and within a month or two, we will have stable betas and public betas out there in th wild. This is a real and tangible thing that is going to happen and that we usually see a lot of coverage on. However, if I search for iOS 11 news, what little I will find is coming from Apple and a recent interview that Jimmy Iovine gave about coming features in Apple Music. This is the quietest I have ever seen the rumor mill for an new version of iOS in 10 years. I know that there is an argument to be made that, if the people want to read about iPhone 8 rumors, that’s what the media and tech bloggers need to give them. However, there is also something to be said for a little sanity and reality mixed in with the pure fantasy that some of these articles are based on. As for myself, I am just a blogger and I don’t claim any sort of journalistic objectivity. I am an Apple fan and I write for sites that cover Apple products. I try to be measured and fair in what I write, but sites like ours deal in a lot of opinion: both our own, and that of our readers. I love having an open discussion with readers about how they may agree or disagree with what I write, and I think that’s the true purpose of a site like this one. So, when other Apple blogs get a little sensational in their coverage of iPhone 8 rumors, it’s understandable. However, what really stands out about this rumor cycle is how many established media outlets are jumping on the click-bait bandwagon. While I don’t claim to be journalist, writers from such outlets as Bloomberg, Forbes, and CNET do. Maybe its time that some of the established tech media and the biggest and most established of Apple enthusiast sites start leading on this, instead of following. There are a few examples of writers and editors who don’t follow everyone else down the rabbit hole. Rene Ritchie of iMore comes to mind. He is an unabashed Apple fan, but he doesn’t tend to pander to his readers with extreme viewpoints and comparisons based on something a guy in China with access to the supply chain saw for a second and snapped a quick photo of. We need more writers and editors like Mr Ritchie to commit to being reasonable, while still giving the Apple fan base the news coverage that they are after. Hopefully the current rush of rumors has a lot to do with the fact that Apple news is slow at the moment. Hopefully we will have plenty of REAL news to talk about leading up to and after WWDC. Maybe we will have new iPad Pros to talk about before the end of the Summer. Who knows, a Siri Speaker to compete with Google Home and Alexa may be coming as soon as WWDC. Any of these would be welcomed, because its time to get back to focusing on real Apple news, rather than obsessing over a device we won’t see for several months. Don’t get me wrong. I’m excited about the coming iPhone, and am not trying to throw cold water on what should be a huge release. I am a huge Apple fan, and I buy my phones using their iPhone Upgrade Program so that I can upgrade every year. You can bet money that I will be on the Apple Store app at 2 AM on pre-order day along with all the other fanboys, trying my damndest to get one of the few iPhone 8s that will be available. All that said, there’s more than enough time to obsess over every little detail of this mythical beast. We don’t need any more comparisons of a phone that doesn’t exist to anything else until it actually does.